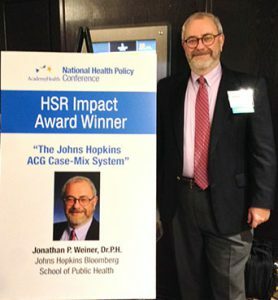 Jonathan Weiner, DrPH accepted the 2015 HSR Impact Award on behalf of the ACG System team during the AcademyHealth National Health Policy Conference in Washington, D.C. 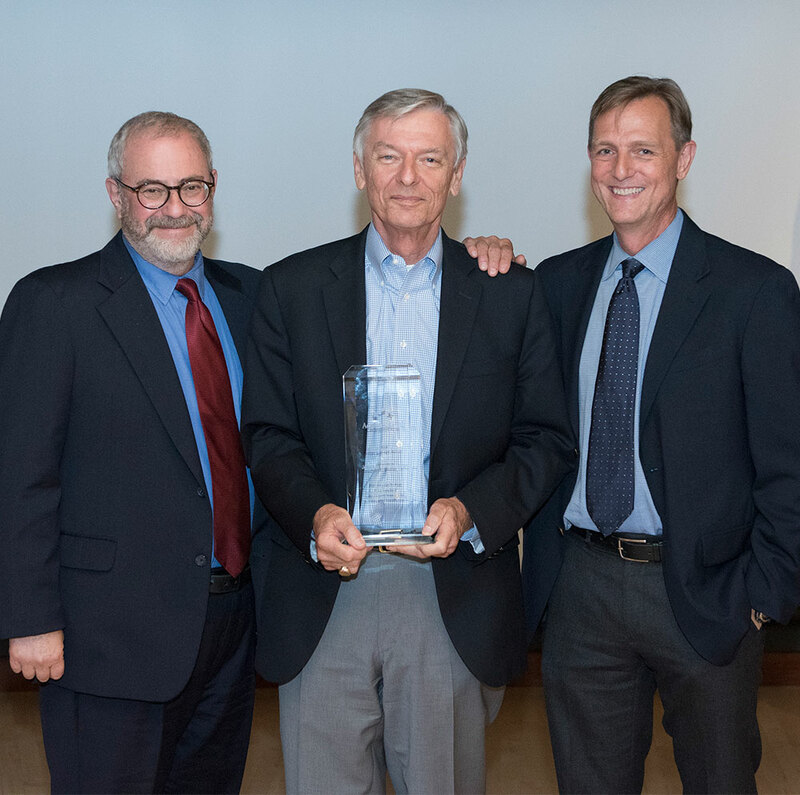 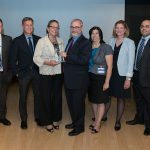 The prestigious HSR Impact Award is presented annually to health services research that has made a clear impact on health policy and practice. 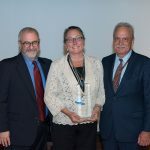 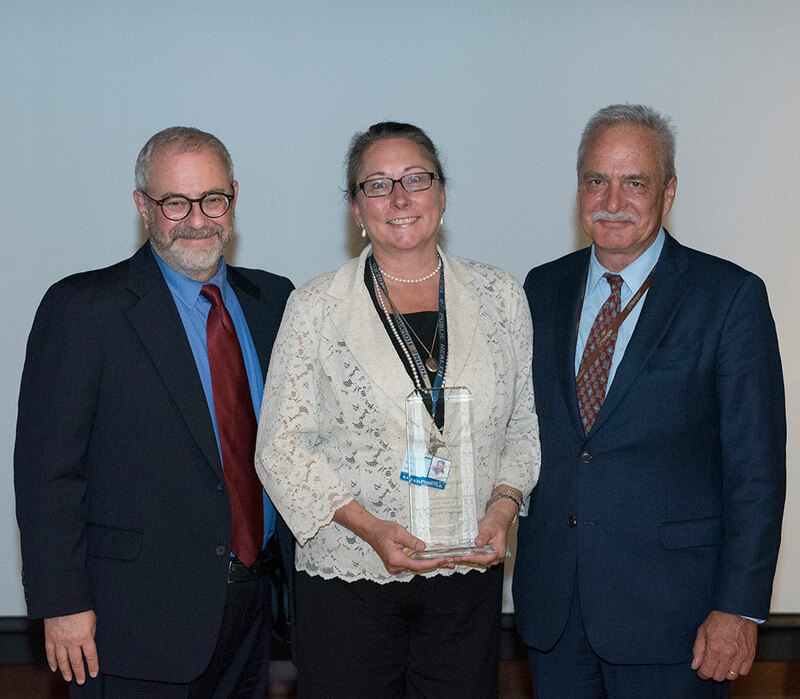 This year’s winner, The Johns Hopkins ACG System, has gained international acceptance as a standard measurement tool and is applied on a daily basis in hundreds of diverse settings throughout the world for population needs assessment, capitation adjustment, chronic care management, predictive modeling, and provider performance profiling. 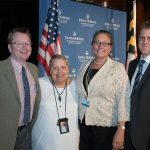 This model, which examines data to study the relationship between patterns of morbidity and health care use, cost, and outcomes, built upon the work of the late Barbara Starfield and her colleagues Jonathan Weiner, Donald Steinwachs, and Christopher Forrest, expanding the earlier work on children to all age groups. 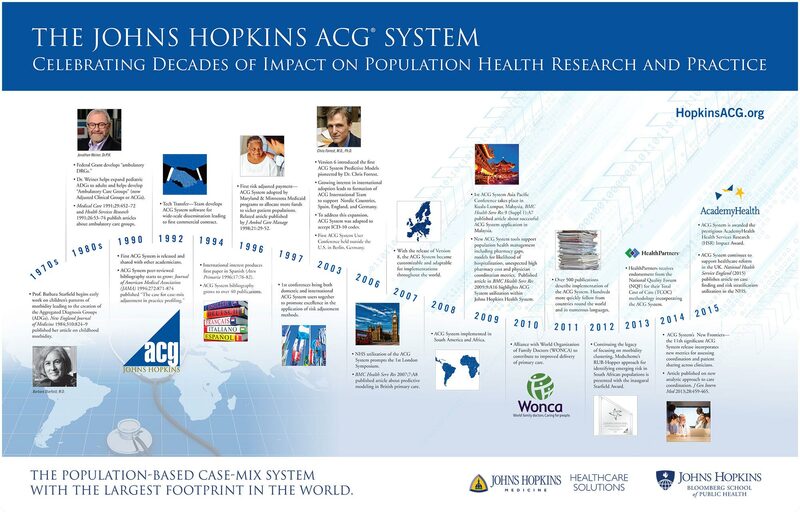 Download the AcademyHealth 2015 HSR Impact Awardee Summary description of the ACG System. 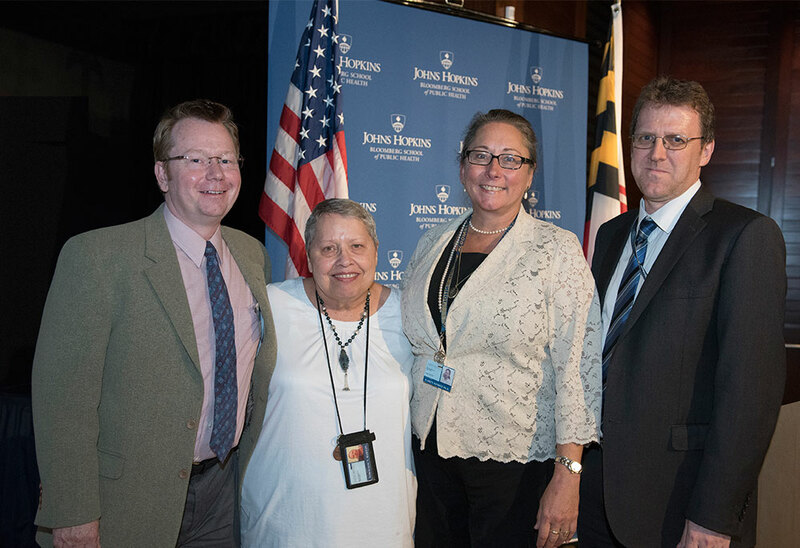 To celebrate the AcademyHealth HSR Impact Award, along with decades of ACG System accomplishments as one of the most widely used population health analysis and management tools in the world, a distinguished panel discussed the past, current and future trajectory of the Johns Hopkins ACG System during a recognition event at the Johns Hopkins Bloomberg School of Public Health. 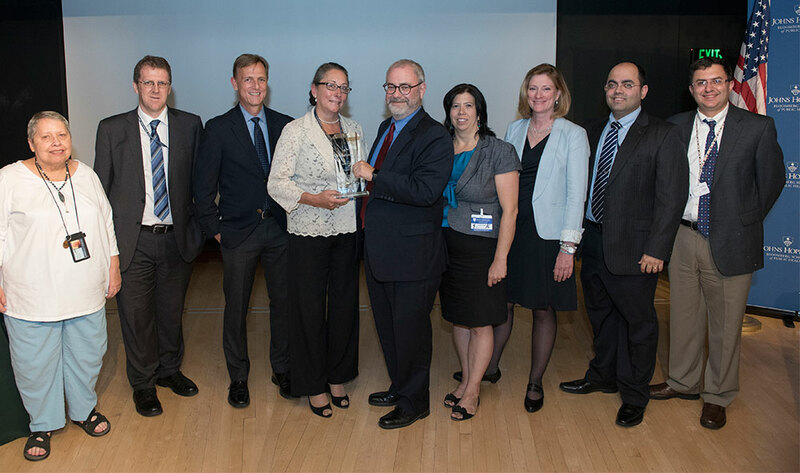 The following video and photos highlight that event. 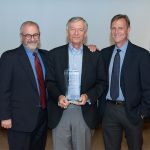 For full event videos and photos click here. 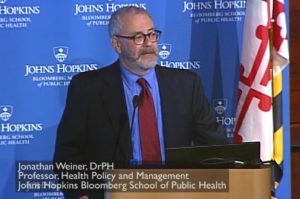 Jonathan Weiner, DrPH, Professor, Health Policy and Management, Johns Hopkins Bloomberg School of Public Health, and ACG System co-developer provides an insight into the System’s evolution timeline, from early research and commercialization, to awards and current partnerships.